Insurance/EAP services accepted provided clients obtain pre authorization/certification (BCBS, Cigna, Tricare, Value Options, Ceridian Lifeworks). Marriage and family therapists are mental health professionals with extensive training in relationships and group dynamics. 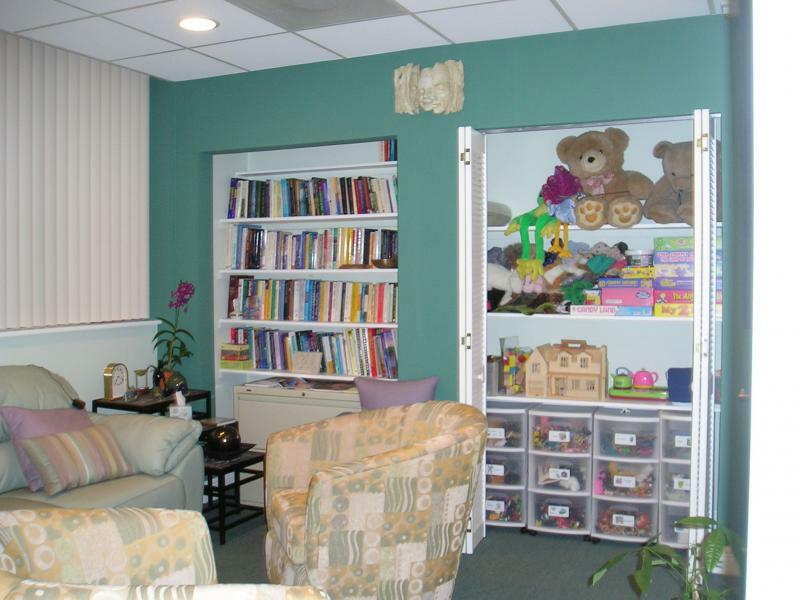 We are trained to provide psychotherapy to individuals, couples, children, families, and groups experiencing difficulties communicating and resolving conflicts or adjusting to life's challenges. We are also consultants who can offer our expertise in group dynamics to corporations, schools, churches, and other settings where on-going conflicts have interfered with collaboration and productivity. Marriage and Family therapy is a therapeutic approach that focuses on the quality of relationships recognizing the importance of family attachments and bonds on the emotional, psychological and physical health and wellbeing of the individual. Family therapists diagnose and treat emotional and mental health disorders within the context of the family, couple, or work group in which the individual is experiencing symptoms or difficulties. If a client chooses individual treatment, a family therapist maintains a systems approach, or rather a focus on the individual client as well as on the relationships he or she is involved in and on the quality of the relationships as well as how these relationships influence the individual. My therapeutic approach is holistic, experiential, and psychospiritual, and it is rooted in family systems theory, cognitive behavioral theory, mindfulness, and emotion focused therapy. Treatment is usually brief, ten to twelve sessions on average, solution focused, and determined by the clients' specific needs, goals, and motivation in treatment. Therapist and client formulate goals and objectives, and assess progress jointly. Clients are free to ask questions, provide feedback, and request changes in the treatment. Clients can terminate services at any time, but preferably after discussing their reasons with the therapist prior to ending their treatment. 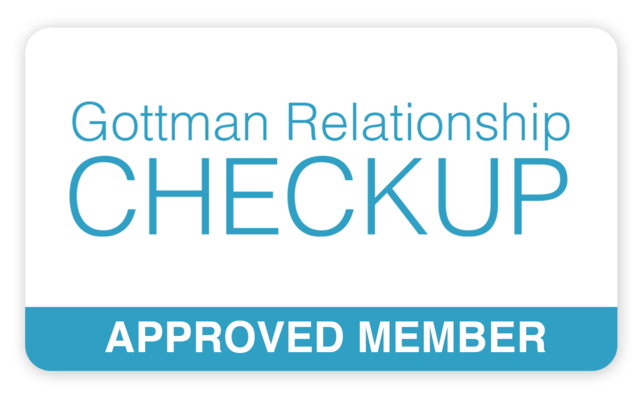 At the beginning of treatment couples will be invited to take the Gottman Relationship Checkup, an on-line assessment which I call an "x-ray" of their relationship. The results are reviewed with the couple and implemented during the course of therapy. For more information on Marriage and Family Therapy and on the education and credentialing requirements of Marriage and Family Therapists please log on to The American Association for Marriage and Family Therapy www.aamft.org. Whether we are aware of it or not we are all on a "heroe's/heroine's journey", humanity's path of growing in consciousness. Often the call to embark on this journey towards increased awareness is marked by loneliness, loss, grief, anxiety, or depression. These are signs that we need to find balance, meaning, and bring wholeness back into our lives. Individuation is the "lifelong process of realizing one's potentialities", our opportunity to access our inner resources and to discover our essence, our true Self, with a capital "S". Sandplay therapy is a journey of self discovery guided by the caring and supportive presence of a therapist who has experienced the process and is committed to her own personal and spiritual growth. Sandplay therapy is an expressive arts/play therapy based on the theories of C.G.Jung and Dora Kalff, Swiss analysts. How does sandplay therapy work? 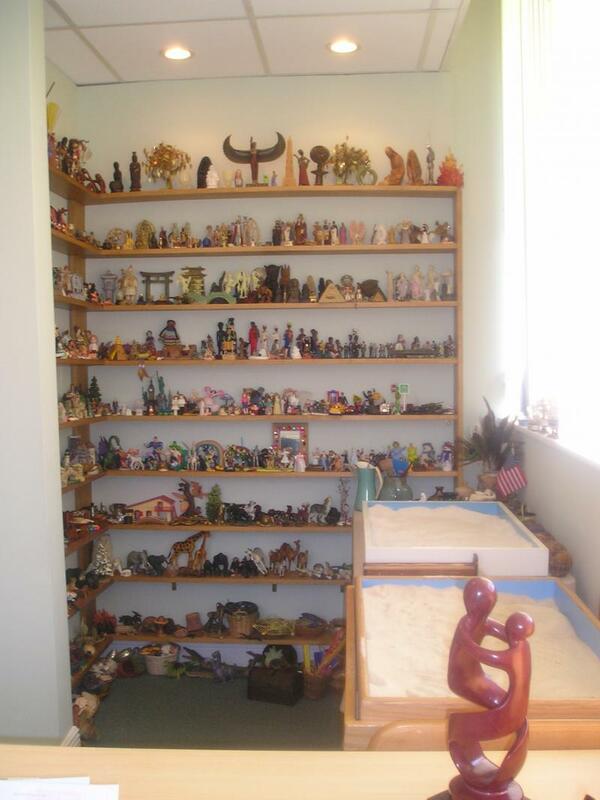 Sandplay therapy offers a safe, "free and protected space" in which the client is invited to utilize the available materials, sand, water, objects from nature and the collection of miniatures which has been carefully selected by the therapist, who becomes an empathic witness of the client's experience and the unfolding of his/her journey of transformation. Two sandtrays are available, one dry and one wet, which are the "canvasses" the client uses to create a three dimensional art image using objects from the collection on the shelves. Images can depict a dream, an experience, or some other aspect of a client's reality or inner world. The client is free to play, create, and "be" in silence, if he/she wishes, so that symbolic images can emerge spontaneously from within the level of mind from which dreams, inspirations, and insights emerge. This level of mind, the unconscious, has the answers to the questions we seek and the healing energies to promote growth, positive change, and healing in our lives. Words are not necessary since sandplay images can express more about our inner world and experiences than we can effectively verbalize. Like dreams or artwork, sandplay can offer us symbolic information and can inspire us to look within providing us with greater understanding and insight into ourselves and our life. Interpretations are not necessary as our mind knows and understands what we need in order to promote emotional and spiritual healing and growth. Sandplay therapy takes us back to nature, by offering sand, water, and objects from nature which invite us to connect to our instinctual, playful and creative self, thus giving us the opportunity to be more spontaneous and increasingly more aware of our inner healing resources. 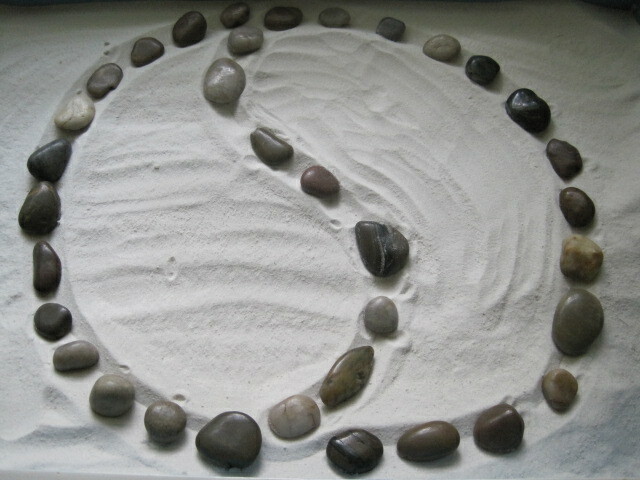 Sandplay is an active meditation, a naturally relaxing experience. Often clients report feeling calmer and more centered after completing a tray. Sandplay therapy is effective for adults, teens, and children. Children will be naturally drawn to sandplay process because it speaks their language, the language of play, metaphor, and symbols. The vast array of toys and miniatures provides them with a rich vocabulary with which to express their inner world. Adults will benefit from sandplay because symbols, imagery, and metaphor are the languages of the Soul and healing takes place when we provide it with a safe means to express itself. In order to practice sandplay therapy, the therapist must undergo his or her own therapeutic process as well as receive training. For the last ten years I have been training in sandplay therapy and have undergone my own process which has been invaluable to my own personal as well as professional growth. If you are interested in learning more about sandplay therapy, please feel free to contact me, Daisy M. Navarro at (305) 271-9901 or log on to www.sandplay.org and www.sandsearch.org. Play is the language children use to express themselves. Toys are the words and symbols with which they communicate. Since 1994 I have been training in play therapy and participating in supervision groups. Play therapy recognizes that play is the language of children and toys are their words. Play therapy is one of the most effective approaches in engaging children in therapy. I received certification as a Registered Play Therapist - Supervisor by the national Association for Play Therapy in California and continue to attend trainings and conferences regularly. 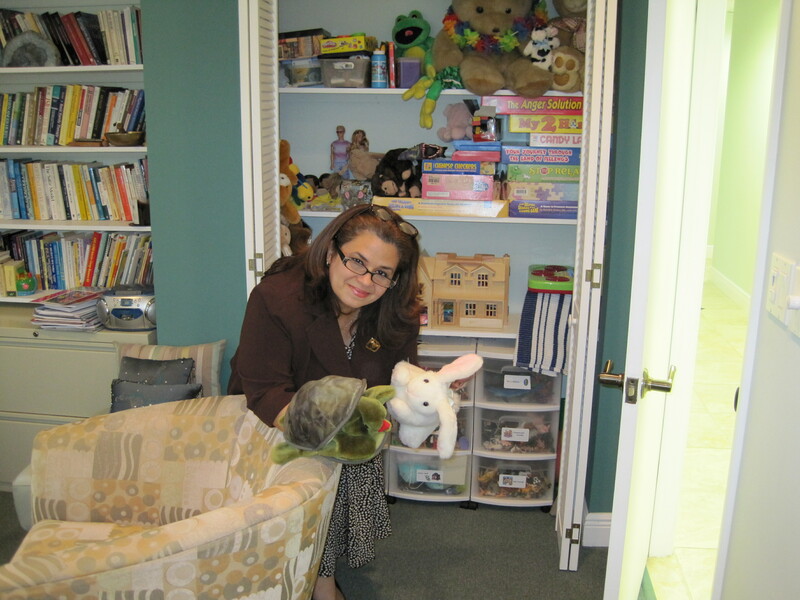 If you are interested in learning more about play therapy, please log on to www.apt.org. 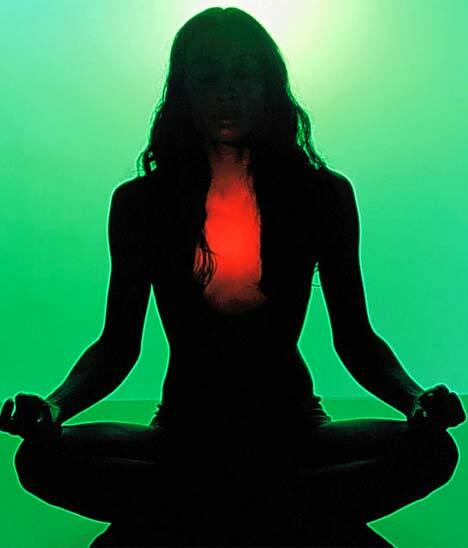 hundreds of scientific studies indicating that the regular practice of mindfulness-based meditation alleviates stress, anxiety, depression, grief, pain, regulates blood pressure, blood sugar levels, helps manage symptoms of other chronic medical conditions, enhances concentration, creativity, improves academic and athletic performance, as well as promotes spiritual devleopment. The fruits of meditation are peace...joy...tranquility...a quiet mind... improved physical health...increased compassion... relaxation...emotional balance...spiritual growth...and the possibility of discovering the true meaning and purpose of your life. These are the gifts which your commitment to a few minutes a day meditation practice can offer you. If you are interested in joining a group, please contact us. "In Search of the Beloved"
Come and join us on a quest of the "Holy Grail" which will help us unravel the mysteries of Love and Relationships. We will discuss relationships from a psychospiritual perspective and the alchemy or transformative qualities of Love in our lives. If you are interested in participating in one of our workshops and/or would like to receive more information, please contact us. We are all born with a mission. Whether we are aware of it or not, we are all meant to realize our highest potential and share our unique talents and strengths with others in the service of society. According to Cayce, there are seven "signposts" which help us to examine whether or not we are on track in terms of fulfilling our life's mission. 1) Do you feel glad to be alive and experience a sense of wonder and magic of living? 2) Are you seeing others benefitting from your life? 3) Do you experience the presence of God? 4) Do you recognize the purposefulness all around you? 5) Do you experience joy? 6) Do you feel energized and filled with stamina? 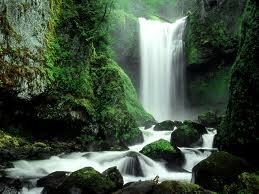 7) Do you experience a natural synchronistic flow of events? If you answered "yes" to most or all of these questions, it is likely that you are on the right track in fulfilling your life's mission. However, it you answered "no" to most or all of these questions, don't discourage, I can offer guidance on how to formulate a plan of action which will help you to identify your life's mission. If you are interested in one-on-one sessions or participating in a workshop, contact me via-email. Have you ever asked yourself the following questions: "why am I here and what is the purpose and meaning of my life? "These are questions we often ask ourselves during a time of crisis, a physical illness, the death of a loved one, the ending of a relationship, or after any of life's great disappointments which impact us so deeply that we experience "soul pain," a pain so intense that we struggle to find answers and the purpose and the meaning of our life and of our suffering. Although these times can be very challenging, they are also an opportunity for us to embark on the greatest quest of our lives, the quest to find meaning, wholeness, connection to something/someone greater than ourselves, and our spiritual purpose and mission in life. Spiritual mentoring is a collaborative and supportive relationship, which is confidential and which you can end at any time. It is a relationship based on mutual trust and respect as both you and I share similar goals, to help develop your spiritual life. What are the primary goals of Spiritual Mentoring? The primary goals of spiritual mentoring are to develop a more intimate relationship with God, as you experience Him, and the sacredness of all life, which will open your heart to love, compassion, and forgiveness. Through the process of mentoring, you will also increase self knowledge, awareness, and awaken the healing potential within you by developing a more conscious connection with your Higher or Soul Self. These efforts will help you to realize your own unique spiritual mission so that you can experience a more peaceful, joyful, meaningful and purposeful life. Why is the Developmente of a Spiritual Life Important? The medical community is finally recognizing that spirituality plays an important role on health and the healing process. Recent research studies have found that certain spiritual beliefs, attitudes, and practices can positively influence health. The University of Maryland Medical Center conducted a review of clinical studies on the influence of spirituality on health and found that an active spiritual life develops qualities such as love, honesty, patience, tolerance, compassion, forgiveness, a sense of connectedness with others and God, faith, and hope. All of these qualities, particularly faith, hope, forgiveness, and spiritual practices such as prayer, meditation, and attending church services or spiritual activities are said to have a "noticeable effect on health and healing." Spirituality is believed to increase resilience and tolerance to stress, tends to improve coping skills and social support, promotes healthy behavior, reduces feelings of depression and anxiety, and encourages a sense of relaxation. 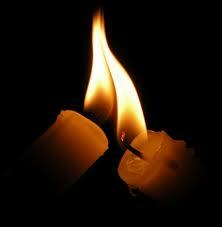 By instilling hope and optimism, spirituality helps to alleviate stressful feelings and promotes healing ones. Spirituality can positively influence the immune system, cardiovascular (heart and blood vessels), hormonal, and nervous systems. Spirituality can be effective in the recovery and abstinence from drugs and alcohol, helps patients to recover faster from surgery, and helps patients with chronic illnesses such as arthritis, diabetes, heart disease, cancer, and spinal cord injury to cope with their illnesses. What is the role of the Mentor in the Mentee's life? A Spiritual Mentor is a supportive and experienced collaborator and counselor who will provide a safe place for spiritual development. I am a trained professional who will respect the boundaries of the mentoring relationship and will not impose or promote my own faith and beliefs, but rather support your faith and beliefs and help you to appreciate the spiritual principles and natural laws underlying your religious and philosophical beliefs. What is the role of the Mentee? Your role as Mentee is the pursuit of spiritual knowledge and experience, increased faith, a desire for a more intimate relationship with God, as your experience Him, and a sincere commitment to continued spiritual growth knowing that there is an increased responsibility that results from living a more conscious life. Your role as Mentee is to increase your self discipline, and demonstrate a willingness to cooperate with the process of spiritual mentoring, being receptive to the suggestions of the Mentor and following through with the commitments you make in mentoring. What is the process of Spiritual Mentoring? The process of mentoring begins during your first telephone call during which we will briefly discuss your spiritual needs and goals, fees for the service (no one will be turned away because of a financial need as I offer a sliding scale), and schedule your first appointment. During the initial one-hour meeting, I will assist you in clarifying your spiritual needs and goals in more detail and help you to formulate an action plan in order to help you to remain committed to the process of meeting your goals. During subsequent meetings, we will discuss your progress and you will have an opportunity to receive energy healing, learn and practice meditation, prayer, dreamwork interpretation, visualization techniques, regression/progression hypnotherapy, and other effective methods which will help you to clarify and meet your spiritual goals. In offering spiritual mentoring, I would like to help others perceive life's challenges as opportunities to listen to God's whispering to their Soul; to fulfill their own unique mission; to experience peace, freedom, wholeness, and joy; and to live a more purposeful and meaningful life. "An unexplored dream is an unopened letter." 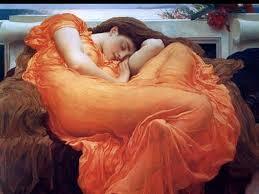 It is said that dreams offer us "love's healing medicine" (Castleman). Honoring the mystery and healing potential of dreams is an ancient practice. A dreamwork group offers its members the opportunity to come together and share/explore their dreams in a safe and confidential environment. You will be learning dreamwork techniques which will help you to remember and record your dreams as well as learn to decipher the secret messages contained in your dreams. The guidance will come from the deepest level of your unconscious mind, your wise inner teacher who is always watching and guiding you in your journey of growth and realization of your unique talents and gifts. Join our mindfulness classes and learn how to cultivate and practice "mindfulness" which has been described as "The #1 Health Booster" and a "medically sound practice for learning, growing and healing". You will learn to practice whole body awareness, mindful eating, mindful walking, and other mindfulness practices which will help you to improve your quality of life, and provide you with an overall sense of peace and wellbeing. Daisy Navarro, LMFT is a meditation teacher professionally trained in Mindfulness-Based Stress Reduction at the Center for Mindfulness UC San Diego. Daisy M. Navarro and Yahoo!